As a a loyal subscriber to the Miracles and Inspiration Newsletter, we greatly appreciate having you as a part of our extended family. We want to inform you that we have many new and exciting additions coming to our website, as well as, special projects in the works including three new original new films, numerous video interviews and a music CD. Our mission will be to continue to provide free updated news and information on the cutting edge of human evolution you will continue to receive as one of subscribers. In fact, look for a brand new News update later this week! At this time, we are currently making available some very special offers to assist us in moving into the next phase of the Miracles and Inspiration project. Please consider contributing your financial support in the form of a donation and receive an exclusive special gift. For only a $25 donation receive your choice of several Miracles and Inspiration films on DVD, including shipping to anywhere in the continental USA. For orders shipped to Alaska or Hawaii must include an additional shipping charge. Welcome to the New Earth is a a very uplifting and inspiring film about the long prophesied new Earth scenario or coming Golden Age for humanity. It presents testimony from many experts in the consciousness, spirituality, new age, UFO's, extra-terrestrial and alternative news fields. Welcome to the New Earth offers a great opportunity to share some good news with others who may be wondering what the future holds for the Earth and its people. The DVD includes a chapter index, a bonus slide show and is approximately 1 hour 33 minutes in length. For more detailed information and testimonials, visit our Welcome to the New Earth film page. October 28, 2011: The Emancipation of the Human Race is a documentary film that explains the significant date that marks the conclusion of the nine levels of consciousness found within the ancient Mayan Calendar. The nine levels were decoded from a particular Mayan calendar known as the Tun, by Dr. Carl Johan Calleman. The October 28, 2011 film debuted on the actual date of October 28, 2011 before a live enthusiastic audience at the Golden Age Festival in Washington state. The film is designed to be an inspirational tool to help explain the coming shift in consciousness that humanity has already begun to experience in the year 2011, which will eventually lead to the long awaited Golden Age. This DVD is approximately 45 minutes in length. The DVD is approximately 1 hour and 25 minutes long and covers a wide range of topics. 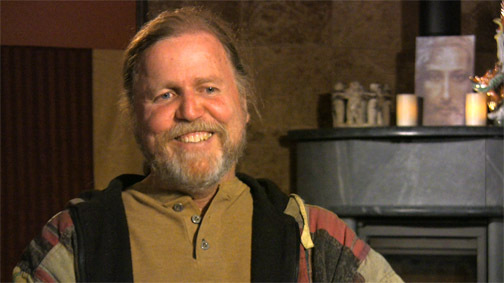 The interview was filmed and edited by Ted Cutler. Visit our A Conversation with James Gilliland film page for more detailed information. You may choose multiple DVD's if you wish. For a $75 donation you will receive all three DVD's. For a $100 donation you will receive all three DVD's, plus your name will appear as a special thank you in the closing credits of our upcoming new film currently in production, Permission to Board: Close Encounters of the Fifth Kind. This latest film is due to be released by the end of 2012. Or, if you simply want to show your appreciation for the Miracles and Inspiration website, you can make as little as a $5 or $10 donation that will greatly help support the expenses associated with maintaining our operation. Or feel free to donate whatever amount you feel inspired to give via PayPal. MR Productions, 17114 153rd Ave. SE, #34, Yelm, WA, 98597. Once again, thank you for your loyal support as we celebrate the fifth anniversary of Miracles and Inspiration. The future for humanity looks exceptionally bright as we move steadily into the Golden Age. Expect many miracles to unfold in the coming weeks and months as we venture through the final phase of 2012 beginning with the Summer Solstice on June 20th. By the way, If you are not a subscriber, or would like to recommend us to your friends and family, then consider joining us by signing up or signing up your friends for our Newsletter in the form below. Our Newsletter is free as is much of the content found on our website.